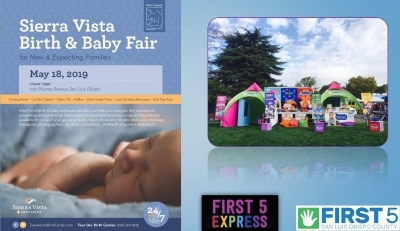 From family fun to professional trainings to workshops for parents, we track a variety of events taking place across our county. Please follow us on Facebook to stay in the know! 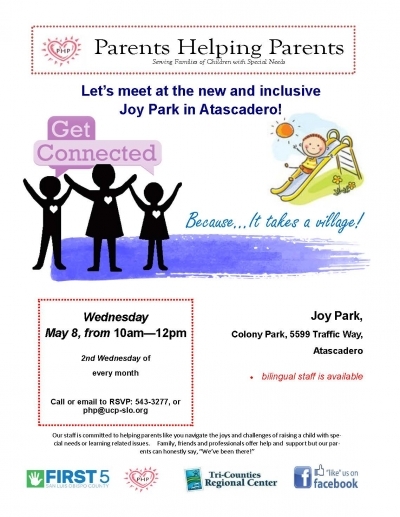 Get Connected at Joy Park in Atascadero! 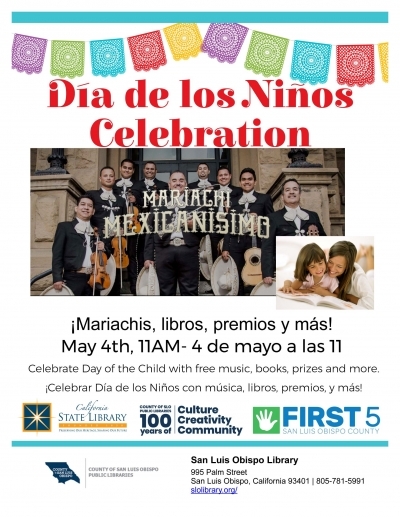 Dia de Los Ninos Celebration at the SLO Library! 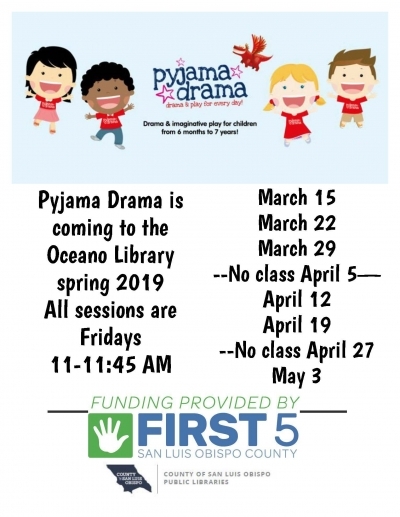 Pyjama Drama Comes to the Oceano Library! 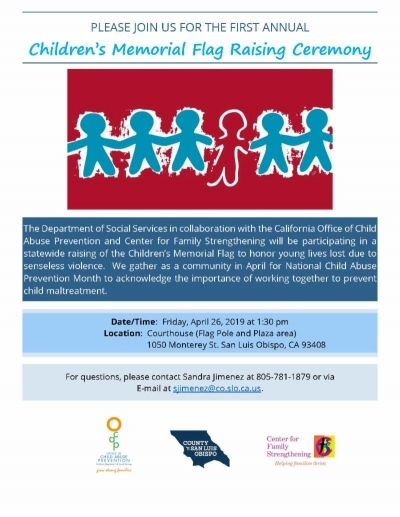 One week from today: As part of Month of the Child and Child Abuse Prevention Month... a community convening on strengthening families in San Luis Obispo County! 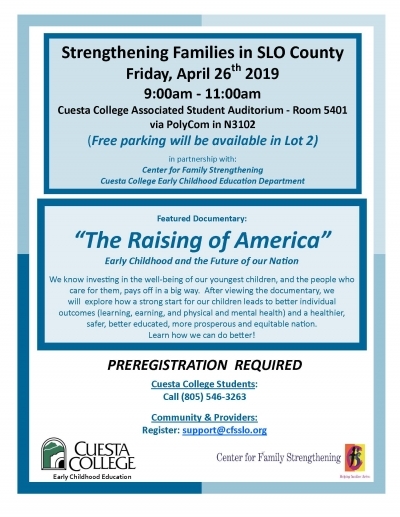 Join our partners with the Center for Family Strengthening and Cuesta College to discuss child abuse prevention efforts and view the documentary "The Raising of America," which highlights the importance of investing in early-childhood initiatives. Pre-registration is required, so check out the flyer for more details! Talk.Read.Sing. Tuesday for the Win! A great start to the morning with the First 5 Express at SLO Library's Story Time-- we'll do it again tomorrow and Thursday (4/17 & 4/18) at Arroyo Grande's (Library)! 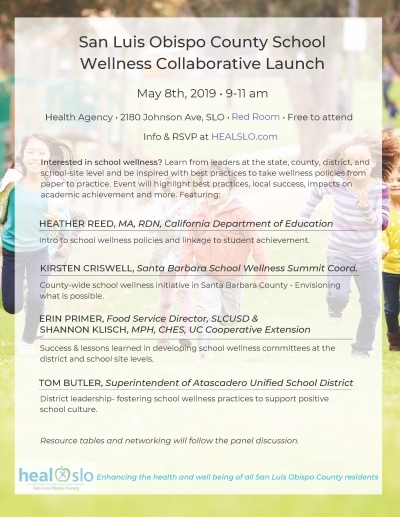 Hope to see you there at 10am! Advocacy in Action! 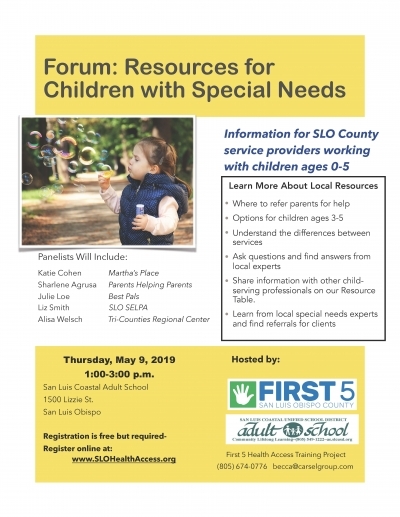 As we approach April Month of the Child and Child Abuse Prevention Month, First 5'ers and partners are taking the opportunity to catch up with each member of our County Board of Supervisors-- discussing current challenges and opportunities in early childhood in our local communities! Pictured L to R: First 5 Health Access Trainer Becca Carsel, County of SLO Public Oral Health Program's Paulina Flores Jimenez, Supervisor Adam Hill, First 5 SLO County's Jason Wells. Mark-It-Down Monday: one-stop shopping for families and children later this week! WHEN: Thursday, March 14th from 4-6pm WHAT: Family Resource Fair WHERE: Cambria - Santa Lucia Middle School Info on services and resources from agencies all across the county will be there! Includes FREE health screenings, flu shots, dental checks, a clothes closet, and dialogue with an on-site immigration lawyer. Find the First 5 booth and enjoy some free prizes!